Looking for a cheap flight from Kuala Lumpur to Taipei (XKLA-TPE)? Before you book a flight you can use Utiket to find the cheapest flights from Kuala Lumpur to Taipei for MasWings, AirAsia, Malindo Air, China Airlines, EVA Air, FireFly. All flight data are real-time and accurate. Utiket finds all the cheapest flights from Kuala Lumpur to Taipei. On average the flight time between Kuala Lumpur and Taipei is about 2 hr 35 min. There is no time difference between these cities. The timezone for both cities is: UTC +08:00. The local time now: 08:03:57. There are 6 airlines flying from Kuala Lumpur to Taipei. Weekly there are 46 flights between Kuala Lumpur to Taipei. The earliest flight from Kuala Lumpur to Taipei is at 07:15. The latest flight is at 17:45. 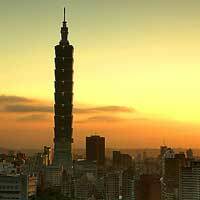 Find cheap flights to Taipei or read more about Taoyuan International Airport. 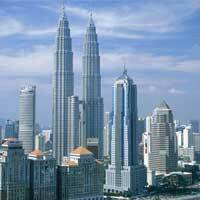 Which airlines have direct flights between Kuala Lumpur - Taipei? Need place to stay in Taipei?